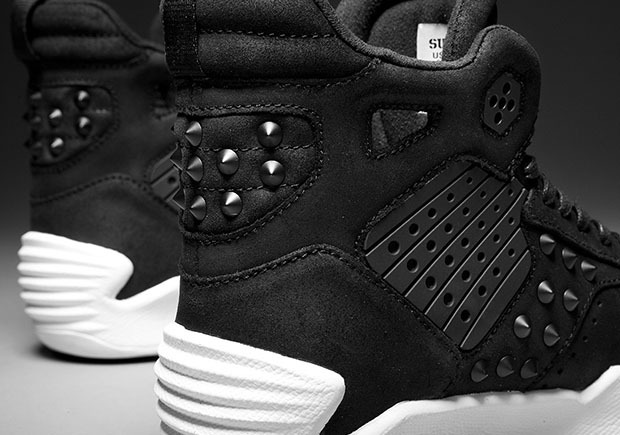 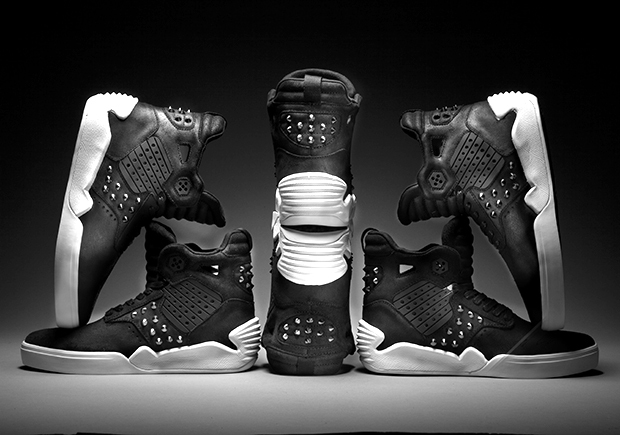 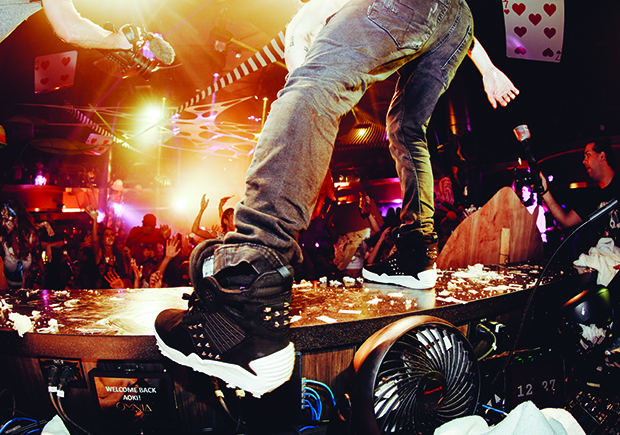 Supra Footwear teams up with world renowned DJ Steve Aoki for a special edition of the Skytop 4 this holiday season. 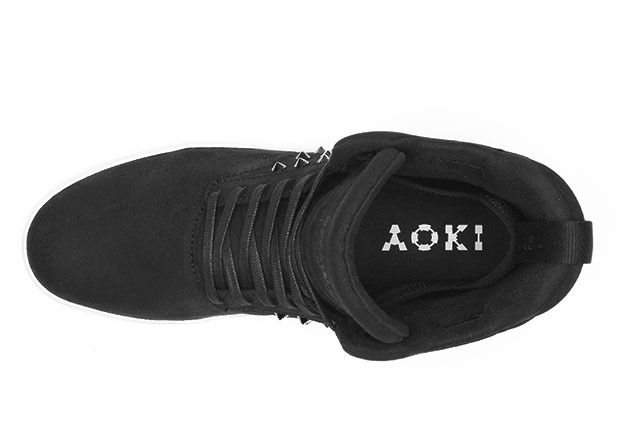 A longtime friend of the brand, Aoki gets his own take of the bold Skytop silhouette, featuring an oiled black suede upper with gunmetal studs, flat waxed laces and black TPU insets, while the white SUPRAFOAM midsole adds some contrast. 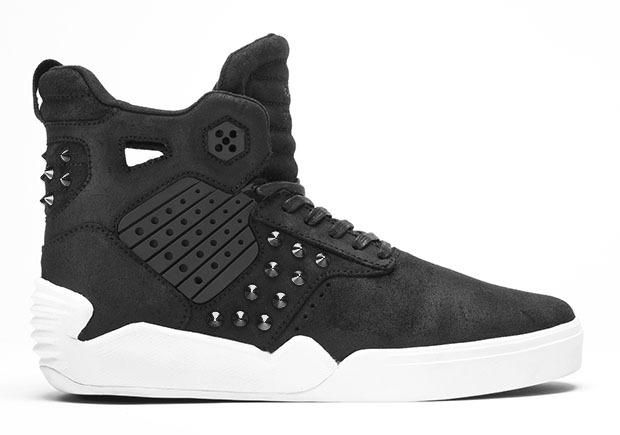 With a look appropriate for the dance floor or the streets, the Steve Aoki x Supra Skytop IV will be available at select Supra stockists beginning November 19, 2015.